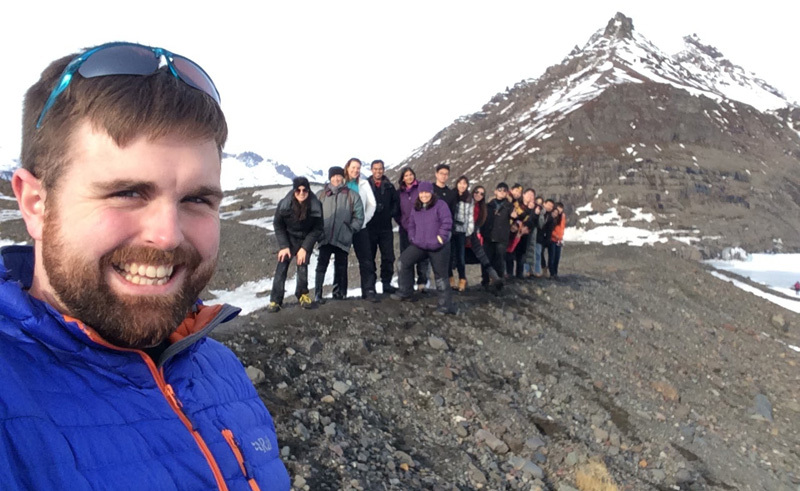 I trained to teach Geography in 2012, after several years in post glacial climate research. My primary interests within the subject are physical but I hold a passion for the link between physical and human geography where the magic of landscape shapes our experiences. I teach all key stages of secondary geography and specialise in physical geography at a level. Having travelled in Iceland with family and friends over the past years, I developed a passion and have spent a year working there as a Tour Guide. After returning to work in Education in the UK I signed up as a Teacher Tour Leader to continue sharing the incredible experiences Iceland has to offer students and teachers. Gljufrábui, a small secluded waterfall on the south coast, has to be one of the most emotive and powerful landforms I’ve ever visited. There is something truly other-worldly about this waterfall which only visiting can help you understand. Even when it’s -20°C I can be found standing staring into the falling curtain of water gulping in the fresh air and pristine beauty. My favourite activity has to be visiting Iceland’s many geothermal hot springs. These are dotted across the country and can provide the most dramatic experiences. Falling that you’ll often find me in a local pool either in Reykjavik or Eskifjordur in the East Fjords.